Industrial and construction material production plays an important role that contributes to VINACONEX’s sustainable development. 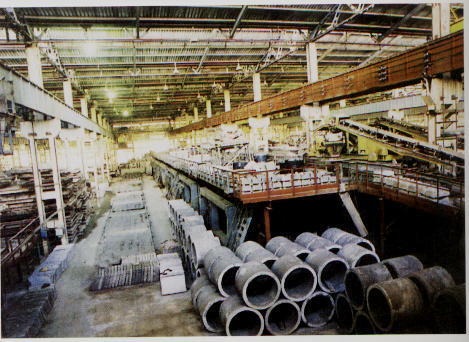 Industrial products of the corporation and its subsidiaries include cement, electricity, clean water, stone, fiber glass and plastic pipes, safety glass, commercial and pre-cast concrete, etc., are highly required by social demands, produced on modern assembly lines and contain high-tech qualities. At the moment, VINACONEX transfers this area to its existing subsidiaries or newly-formed companies to be deeply attached to its two core business areas, i.e. construction and real estate development. - Agricultural and forest product. 16. Terrazzo Block manufacturing line.